A self-described "middle class Jewish kid," Price grew up in a housing project in the northeast Bronx. Today, he lives in New York City with his family. Price graduated from the Bronx High School of Science in 1967 and obtained a BA from Cornell University and an MFA from Columbia. He also did graduate work at Stanford. He has taught writing at Columbia, Yale, and New York University. He was one of the first people interviewed on the NPR show Fresh Air when it began airing nationally in 1987. 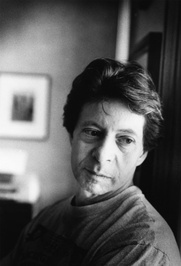 In 1999, he received the American Academy of Arts and Letters Award in Literature. Price's novels explore late 20th centur Librarian Note: There is more than one author in the GoodReads database with this name. Price's novels explore late 20th century urban America in a gritty, realistic manner that has brought him considerable literary acclaim. Several of his novels are set in a fictional northern New Jersey city called Dempsy. In his review of Lush Life (2008), Walter Kirn compared Price to Raymond Chandler and Saul Bellow. Price's first novel was The Wanderers (1974), a coming-of-age story set in the Bronx in 1962, written when Price was 24 years old. It was adapted into a movie in 1979, with a screenplay by Rose and Philip Kaufman and directed by the latter. Clockers (1992) was nominated for the National Book Critics Circle Award. It has been praised for its humor, suspense, dialogue, and characterizations. In 1995, it was made into a movie directed by Spike Lee; Price and Lee shared writing credits for the screenplay. Price has written numerous screenplays, of which the best known are The Color of Money (1986), for which he was nominated for an Oscar, Life Lessons (the Martin Scorsese segment of New York Stories) (1989), Sea of Love (1989), Mad Dog and Glory (1992), Ransom (1996), and Shaft (2000). He also wrote for the HBO series The Wire. Price was nominated for the Writers Guild of America Award award for Best Dramatic Series at the February 2009 ceremony for his work on the fifth season of The Wire. He is often cast in cameo roles in the films he writes. Price also wrote and conceptualized the 15 minute film surrounding Michael Jackson's "Bad" video. "And all he did was squeeze. Give me a little squeeze of sympathy, then rubbed that same spot with his palm for maybe two, three seconds, and that was it. "But I swear to you, nobody, in my entire life up to that point had ever touched me with that kind of tenderness. I had never experienced a sympathetic hand like that, and Ray, it felt like lightning. "I mean, the guy did it without thinking, I'm sure. And when dinnertime rolled around he had probably forgotten all about it. Forgot about me, too, for that matter... But I didn't forget. "I didn't walk around thinking about it nonstop either, but something like seven years later when I was at community college? The recruiting officer for the PD came on campus for Career Day, and I didn't really like college all that much to begin with, so I took the test for the academy, scored high, quit school and never looked back. "And usually when I tell people why I became a cop I say because it would keep Butchie and Antoine out of my life, and there's some truth in that. "But I think the real reason was because that recruiting officer on campus that day reminded me, in some way, you know, conscious or not, of that housing cop who had sat on the bench with me when I was thirteen. "In fact, I don't think it, I know it. As sure as I'm standing here, I know I became a cop because of him. For him. To be like him. God as my witness, Ray. The man put his hand on my back for three seconds and it rerouted my life for the next twenty-nine years. What book would you like to recommend that King read?